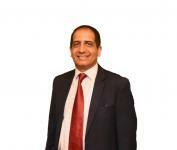 South African Tourism has appointed Mr. Mansoor Mohamed as Asia Pacific Hub Head, based in Beijing. A qualified accountant, he succeeds Mr. Bradley Brouwer, who returns to Johannesburg as South African Tourism’s Head: Global Trade. 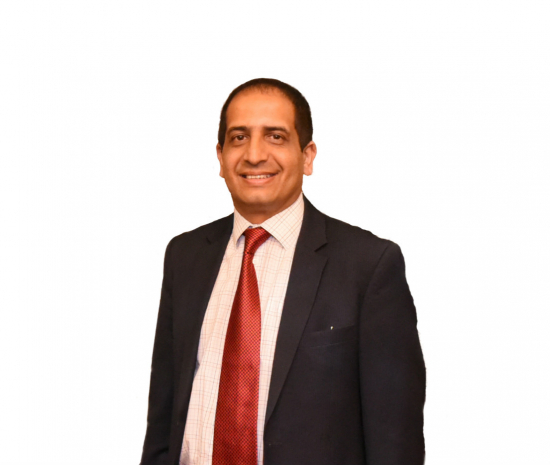 Mr. Mohamed brings strong experience in tourism destination development and marketing to driving South Africa’s tourism growth from key markets of China and the Asia Pacific – having previously worked for Dubai Tourism and the City of Cape Town. He also led key strategies for South Africa’s hosting of the 2010 FIFA World Cup, along with initiatives for Responsible Tourism, Visitor Attraction and the country’s cruise line industry. Mr. Mohamed takes leadership of South African Tourism in the region at an important juncture as 2018 marks both the 20th anniversary of diplomatic relations between China and South Africa, and the centennial of Nelson Mandela – the focus of a dedicated tourism campaign with 100 travel experiences curated around major milestones in the life of the ‘Father of the Nation’. 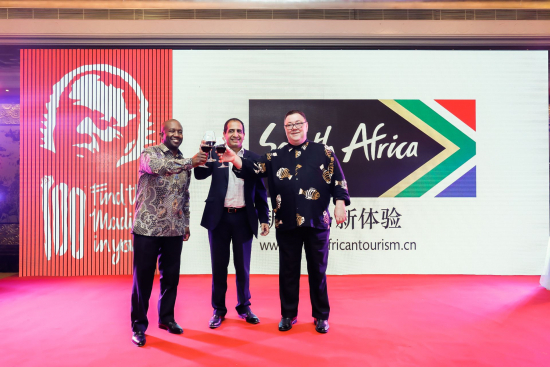 South African Tourism is re-affirming South Africa as a premium destination for Chinese travelers and a ‘must visit now’ quality destination with cultural, adventurous, off-the-beaten-track and ‘bucket list’ travel experiences “that no other competitor can offer”. As China has emerged as the world’s No. 1 outgoing tourism market, especially targeted are China’s new generation of millennials who are hitting the road and exploring the world in ever-increasing numbers. “They are looking for unique and immersive experiences that others have not yet tried and we know South Africa can strike this chord,” said Mr. Mohamed. To simplify South Africa travel, visa facilitation centres have extended to 11 cities across China, from Beijing, Shanghai, Guangzhou, Chengdu, Xian, Shenyang, Wuhan, Jinan and Hangzhou to, most recently, Kunming and Chongqing. Currently, Air China flies directly to Johannesburg every week, via a code share agreement with South African Airways. Daily flights are also available from Guangzhou to Johannesburg via Nairobi on Kenya Airways. Many Chinese travelers also fly daily via Hong Kong on South African Airways and Cathay Pacific, via Singapore by Singapore Airlines or via the Middle East with Emirates, Etihad or Qatar Airways. During the 4th quarter of 2018, Cathay Pacific will also launch the first non-stop flights from Asia to Cape Town, from Hong Kong. 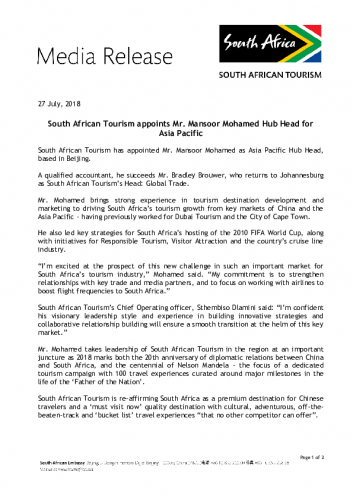 “We continue to inspire Chinese travelers with the message that South Africa is a safe, affordable and appealing destination offering them abundant, diverse, world class attractions supported by transport, services and communications infrastructure that competes with the best in the world,” added Mr. Mohamed.